A new addition to my collection, these M&Ms were offered in red, white and blue as a response to September 11th. Below is an article from 2001 that discusses this tribute candy further. Again, when something as mainstream and simple as M&Ms shows the impact of September 11th, it is easy to make the case for the true impact of 9/11 on all froms of material culture (aka household and consumer goods). NY Dailey News article about tribute M&Ms. As a collectible, food has two problems. First, it doesn't have great endurance. Yes, you occasionally read about scientists finding perfectly preserved crackers in some resupply tent left behind on a 1917 Polar expedition, but that's the exception. If you collect Louis XIV, you want his side table, not his favorite pastry. Second, if a food item is good enough to save, it's good enough to eat. So why not eat it now and let your descendants rustle up their own dinner? That said, Americans do have an obsession these days with collectibles, spurred by a mushrooming division of the marketing industry that's devoted to creating them. So it's hard not to think the "collectible" concept lies somewhere behind our latest innovation in patriotic food: supersize packages of red, white and blue M&M's, now available at your local supermarket. 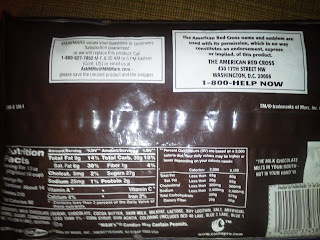 As serious M&M fans know, this isn't the first time that Mars, through the Masterfoods division that produces M&M's, has gone patriotic. Red, white and blue M&M's were first offered last Fourth of July, for more traditional marketing reasons. This time they have a back story. 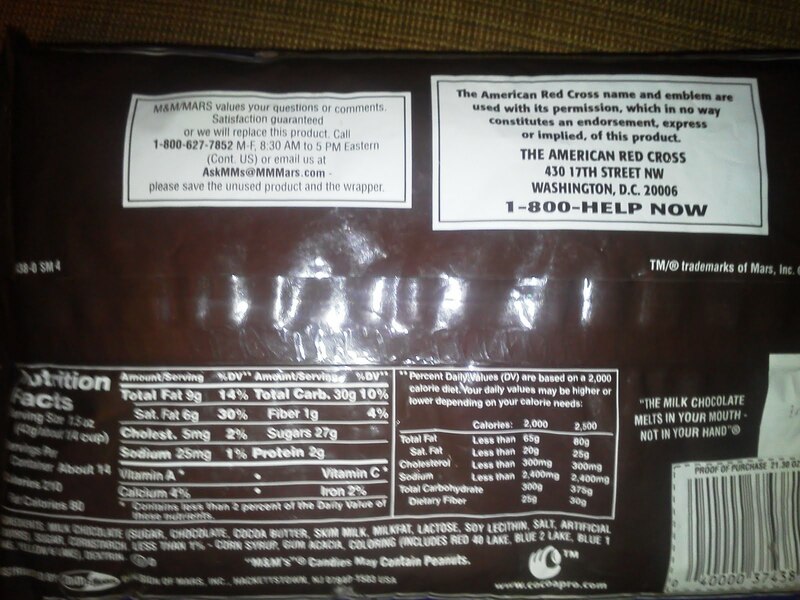 After Sept. 11, the Masterfoods workers, like pretty much everyone, wanted to help. So, like pretty much everyone, they did what they could, which in this case was make M&M's. Specifically, they asked management if they could run off red, white and blue M&M's for the workers at Ground Zero and the Pentagon. Management agreed, and they produced about 500 cases, which were handed out at the scenes. Then the idea grew: Why not do a commercial run and sell them as a fund-raiser for Red Cross disaster relief funds? So orders were taken and plants in Hackettstown, N.J., and Tennessee went into full-time red, white and blue production even as other plants continued making the standard colors and the annual red-and-green Christmas assortment. Five million packages of the red, white and blues will be produced, and when they're gone, they're gone - which you will recognize as the premise that creates collectibles. Tell Americans something is "limited edition" and we'll buy it even if it tastes like liver in butterscotch sauce. In the case of M&M's, taste isn't a concern. Who could possibly dislike M&M's? 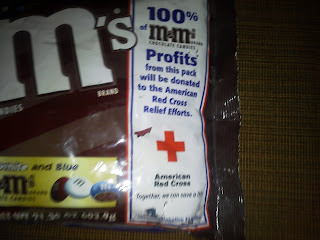 Mars is pretty confident all 5 million bags will be sold by Christmas, giving the Red Cross at least $3 million. For those who buy them, meanwhile, red, white and blue M&M's can give a patriotic touch to those siren-like little dishes of snacks that lurk around the house seducing us during the holiday season. 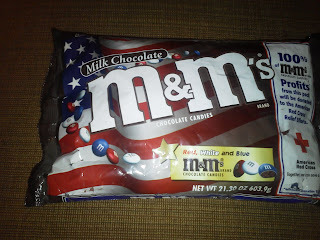 The M&M's can even have some patriotic company. At least one nut company is selling red, white and blue pistachio nuts, which taste the same as regular pistachios but leave a different color dye on your fingers. Beyond patriotism, innovations like these also give a rare boost to blue food, which, as comedian George Carlin once noted, rarely looks like something found in nature. You can't even do a patriotic mix with one of the few legitimate blue foods, blueberries, because after you mix in raspberries to get the red, you find that pretty much the only white berries are mistletoe - and while they're nicely seasonal, they are also poisonous. No, kids, do not eat the white berries. 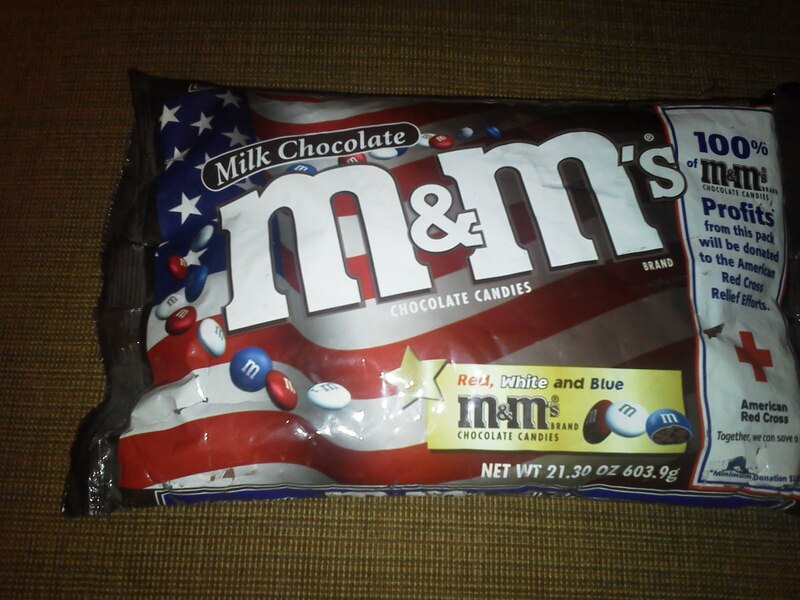 So M&M's will have to carry both the patriotic and the collectible load this season. Fortunately, they haven't let us down yet.